We’re often asked: “What’s the difference between World Words and other content writing agencies?” Our answer is simple: experience. While most agencies have rows of writers sitting behind desks and researching topics, our expert travel writers and editors are on the road, digging and discovering to get personal experience and insight to inform their content. Not only are our contributors based all over the world, from Europe to Asia, North America to Australia, but they love to travel too. We’ve itchy feet by nature, so we spend almost as much of our collective time exploring the world as we do writing about it. And that’s what makes World Words stand out from the pack. 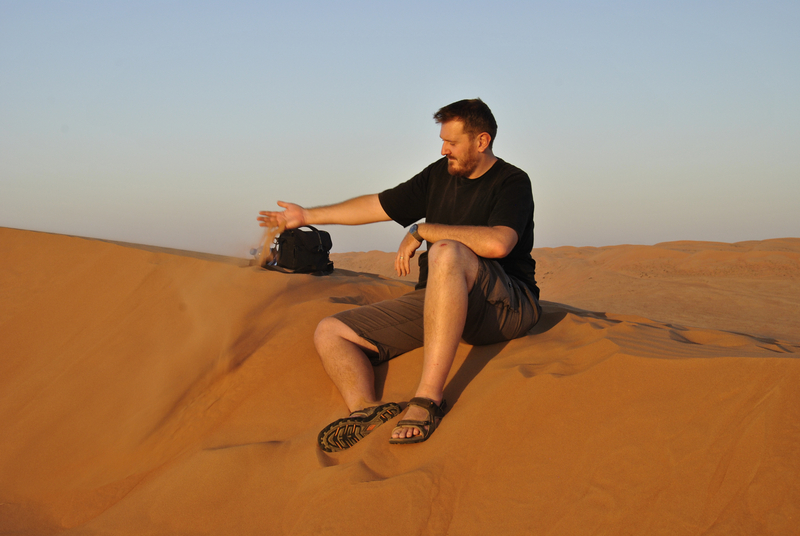 Joe on a sand dune in the middle of the Omani desert, as the sun slowly sets.